Art therapy is the use of art materials for self expression and reflection in the presence of a qualified art therapist. Art therapy is a unique process, combining creativity and psychotherapy for growth, awareness and healing. It is done in a supportive, non-judgmental environment. Why do people see an Art Therapist? Some people can find it difficult to talk directly about their feelings and experiences. Using art materials can be an alternative form of expression. The art process itself can be deeply relaxing, satisfying and positive. It can provide some physical and emotional relief as we express feelings using tactile art materials. Art therapy can potentially provide a space where people can experiment, make a mess, be playful and spontaneous. No artistic skill is necessary. It is not about making realistic drawings or painting a masterpiece. The artistic quality of the end product is unimportant. The therapist will not make judgments and all work is accepted in its own right. Art Therapy can help with: addiction and recovery, anger, bullying, depression, low self esteem and confidence, grief and bereavement, stress and anxiety and much more! Terri Mitchell is Helplink’s Art Therapist; she is a graduate of Crawford College of Art and Design and holds a Masters Degree in Art Therapy, she also holds a BA in Fine art from Sligo Institute of Technology, a certificate in Principles of art Therapy Certificate also from Crawford College of Art and Design and has a Diploma in Art and Design from GMIT. 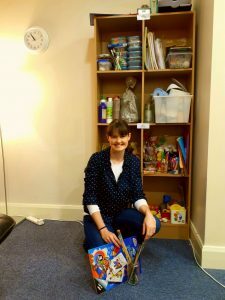 Over the past three years she has worked, as part of her placements, in a variety of settings providing Art Therapy. 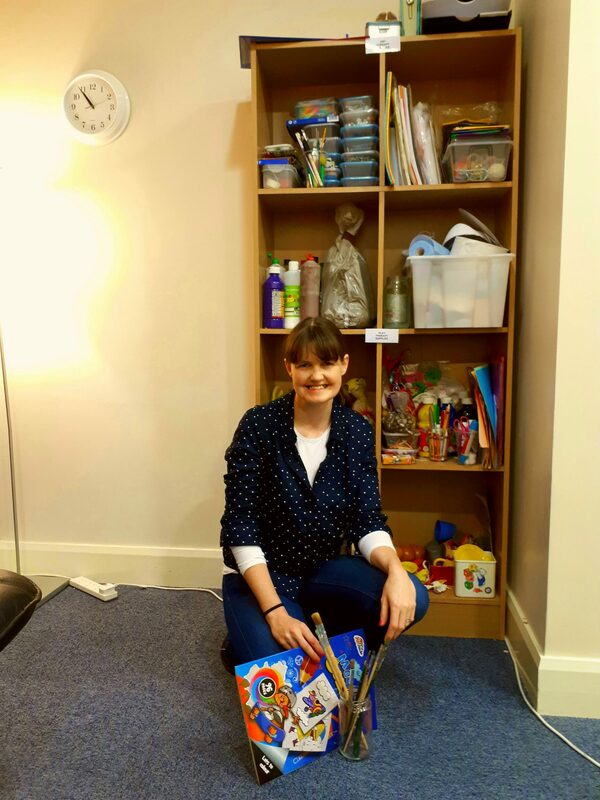 She has worked with adults with learning disabilities, teenagers as part of Youth Work Ireland and with primary school children with a broad range of needs; including autism, selective mutism and those dealing with bereavement. *Terri is available to see both children (aged 6 upwards) and adults by appointment. The cost for this specialist counselling service is €55 Euro per appointment. (Caregivers must give written permission to us for young people under 18 and children to participate in art therapy).